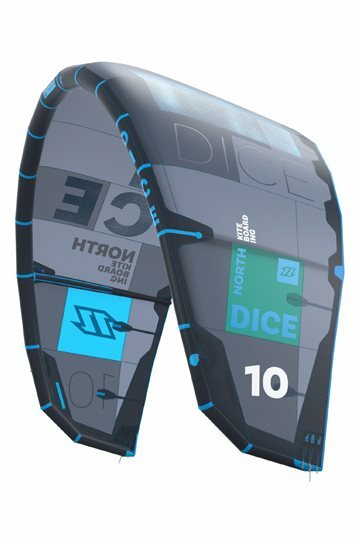 Now in its third generation the Dice has redefined versatility and performance. No matter what your style this kite has you covered, it’s perfect for wakestyle and freestyle allowing you to pull the latest moves and tricks with ease. With a fast progressive turn and dynamic handling it is also amazing in the waves offering excellent drift down the line. Tried the 11m Dice 2 sessions in the middle (fabric) setting with a 24m bar. 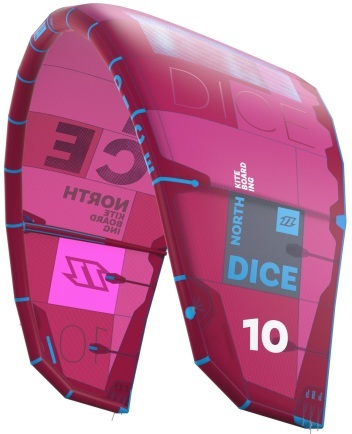 The Dice 11m was hard to define. During the low-end sessions the kite didn't give me enough power and it was hard work to get things going. Maybe I am too heavy for the 11m Dice in around 15 knots and a twin tip (140x40). Above 18 knots the Dice gave me real performance. Faster steering, good drift, always feedback with a pretty light bar pressure. The relaunch was great by the way, had some crashes in the waves a simple steer line pull and the Dice flew up in the air. But for a 2016 kite a very good relaunch isn't enough. It's the combination of characteristics that define a kite and its public. The kite is really all-round and fits lots of riders. Let say the more C orientated shape brings a lot of good things, like; direct steering, nice boost and for the person that likes to have a kite that almost everything does. This year better hang time and also nice for some old school. This kite i tested in Zanzibar and as a low wind machine i should not use it. When you get the right wind for your twintip or surfboard, this kite fits a lot of styles. Again, North designed a nice present for the all-rounders.